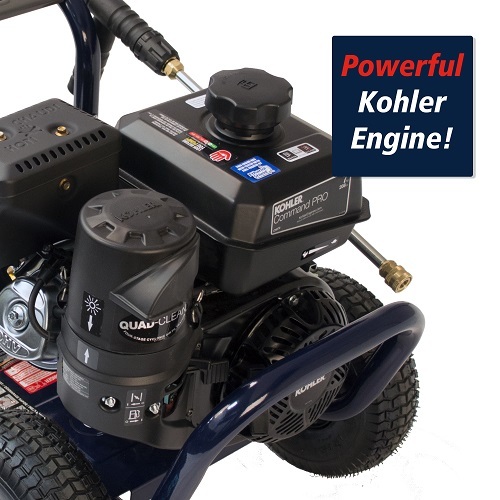 The Campbell Hausfeld gas powered commercial pressure washer (PW340200) uses a premium tri-plex piston pump and Kohler CH270 engine to produce top performance. 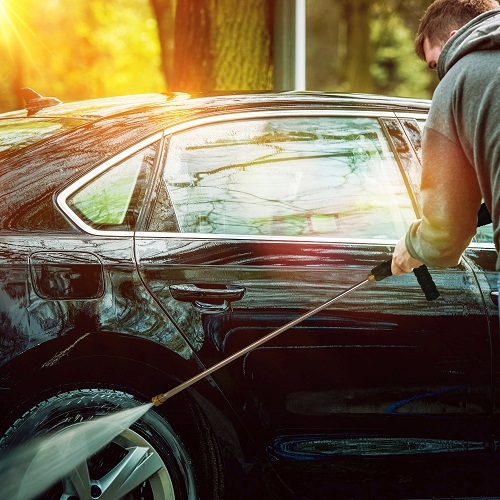 Ideal for heavy-duty jobs like cleaning RV's, boats, cars, outdoor equipment, patio furniture and more! 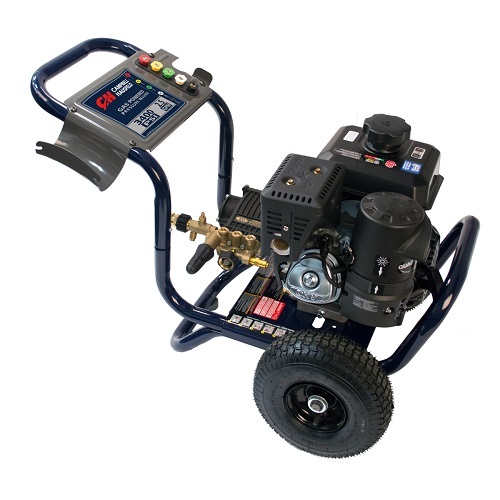 With 3400 maximum PSI and 2.5 maximum GPM, this gas powered pressure washer provides reliable results. 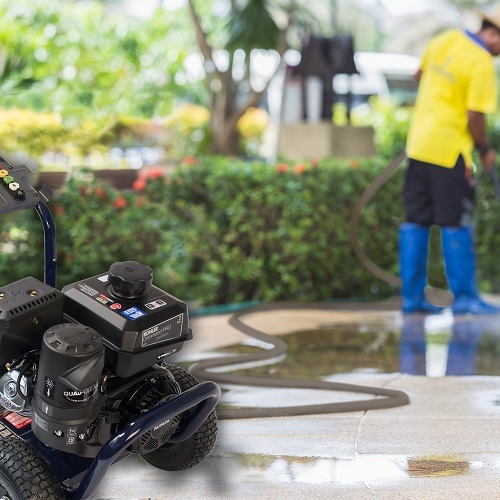 This unit is built on steel welded frame that is powder coated for durability. 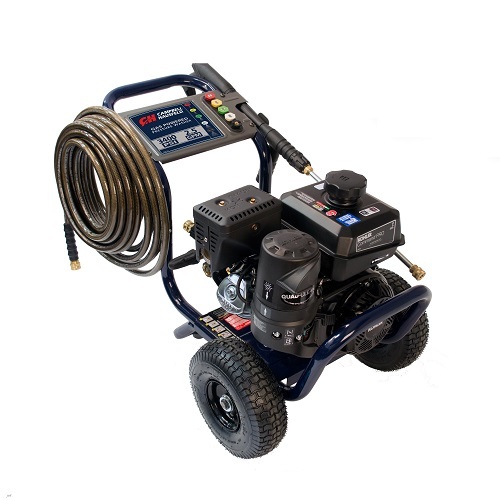 The axial pump is designed for prolonged product life. 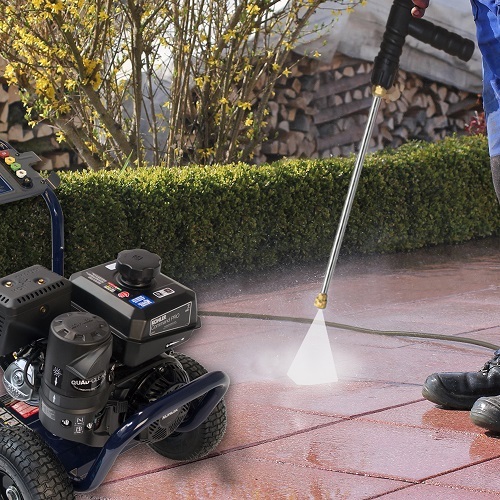 The pressure washer gun features a trigger locking mechanism to prevent accidental trigger pull and added safety. 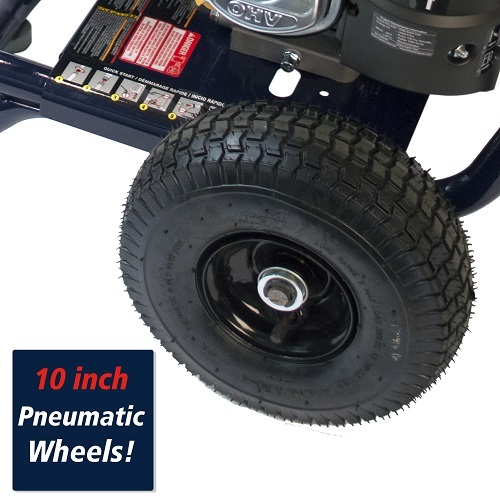 10 inch pneumatic wheels enable the unit to the moved from job to job easily. 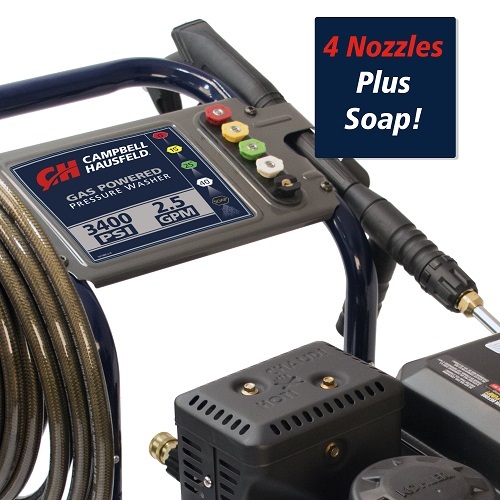 Also included are a 50 foot hose, 5 quick change nozzles, detergent hose and filter to get started on your projects right away.